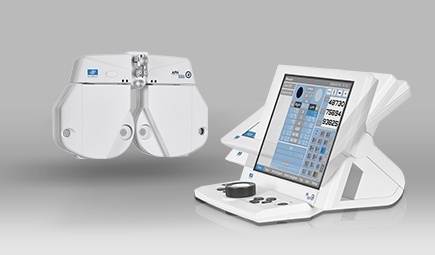 Your optician is permanently trained in innovations and techniques for correcting presbyopia. Do not hesitate to ask for advice for a customized analysis and recommendation. As the name suggests, these are specially designed lenses to give presbyopics clear vision at all distances (near, far and intermediate). Presbyopia is a vision disorder that generally affects the quality of near vision and in principle affects the aging population. It is not a disease, strictly speaking, but rather a natural aging of the lens. *Depending on the degree of your presbyopia, which will be evaluated on the basis of vision tests, we will offer progressive lenses specially designed to correct your visual defect. It is therefore essential to entrust your sight in the hands of a professional optician! The glass is divided into 3 zones allowing close, intermediate and intermediate vision while maintaining a “progressive” transition between each of them. Upon delivery of your progressive lenses, your optician will give you a certificate of authenticity (essilor varilux, zeiss). In addition, progressive lenses are discreetly laser engraved, guaranteeing quality and authenticity. If after an adjustment period of 30 days, you were not satisfied with your progressive lenses, they will be replaced by other free glasses of the same brand. Essilor and Zeiss lenses are subjected to stringent quality criteria and are therefore free from any manufacturing defect. However, if such defects appear within a period of two years from the date of delivery, the optician Minet will replace the glasses by identical new glasses. Valid for one exchange, the right to reimbursement shall be invoked. Your progressive lenses are covered by a warranty against breakage for a single standard exchange (similar correction and material), valid 36 months from the date of purchase. This warranty includes a deductible of 0% the first year, 33% the second year and 66% the third year. The warranty does not apply in case of scratches or splinters on the edge of the glass and will be validated only against surrender of broken glass. To profit of this warranty, a biennial service of your glasses is required. Your Varilux lenses are covered by a theft warranty for a single standard exchange (similar correction and material), valid 36 months from the date of purchase. This includes a deductible of 0% the first year, 33% the second year and 66% the third year. The warranty will be validated with a police report. 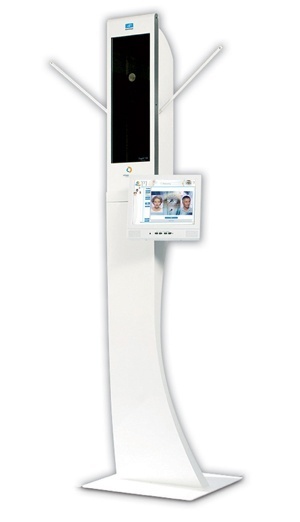 A professional equipment of last generation: the technology and the « know-how » in the service of your vision! It replaces the old well-known optical test glasses. Today all electronics for a more accurate sight test. Determines the effective power of your glasses. 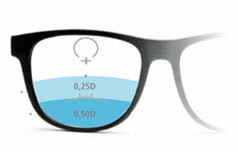 It allows a centring of the tenth of a millimeter of all the lenses and is specifically indicated for the centring of multifocal lenses (eg Varilux) equipment necessary to benefit from the new technology progressive lenses varilux s series.